As we approach the Summer Camp Session, we wanted to keep everyone informed of the activities and share some guidelines. Our goal is to provide a great experience for our children this fun summer. 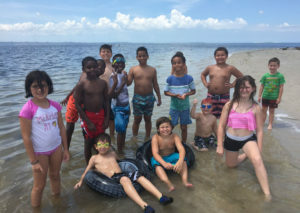 Our summer camp is for children ages 5-12 and activities include daily karate training including grappling/jujitsu, Spanish lessons, 2 hours of outdoor activities including soccer, basketball, track and field, and baseball and weekly field trips. We hold our Summer Camp at Lugo’s Martial Arts & Wellness at 8811 Gunn Highway in Odessa, Florida. We are conveniently located in northwest Tampa and children can be dropped off on the way to work as early as 7:30am. To register for this fun camp, view photos of previous summer camps or get more information, please visit our Summer Camp page.